There are plenty of stocks and adjustments you can make to a Remington 700, but those will only take you so far when you want precision and stability in your shots. That is why bipods are a popular attachment, especially when you’re lying on the ground or can’t get into a position where you can stand and shoot. A bipod goes on the bottom of the Remington 700 and features two legs which stand it up on the surface that you’re on. 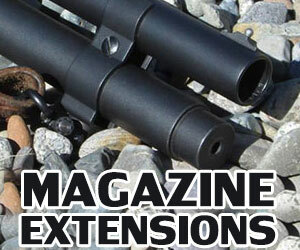 Let’s take a look at a few recommended bipods for the Remington 700. The Accu-Shot Atlas Bipod is an aluminum bipod that is lightweight while still maintaining its durability with its stainless-steel components. The legs are independently adjustable to five different leg positions. The legs can also be extended from a length of five inches to a length of nine inches. The front-to-back adjustment can be done up to 180° while having the ability to pan to the left or right at 30° in each direction. The cant adjustment is also 30° which makes it perfect for shooting on terrains that are uneven and rough. The Harris Bipod is another handy bipod for the Remington 700. It is known for steadying the rifle and giving it complete accuracy in a variety of terrains and fields. The legs are spring loaded and allow telescoping which makes them easy to adjust when you’re in a hurry. 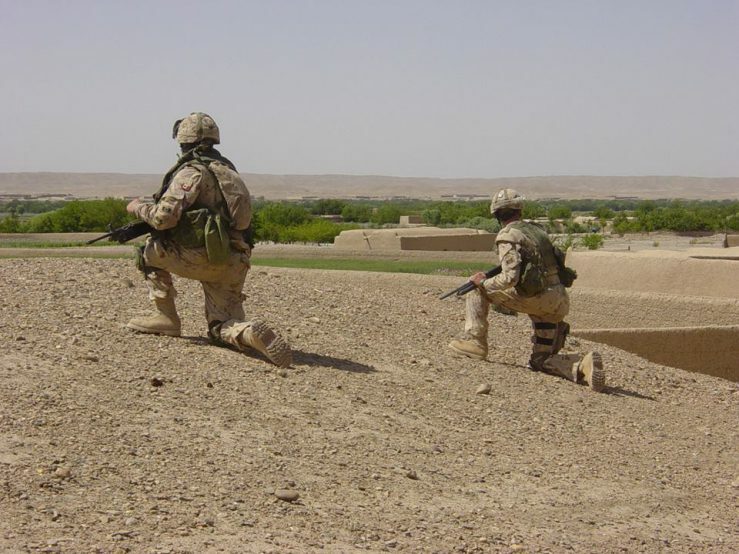 This is particularly beneficial in combat situations when you’re constantly on an uneven terrain and you have to level your weapon accordingly to be precise in your shooting. The only downside to this bipod is you cannot rotate or swivel it because it has a solid base. The Sinclair International Tactical Bipod Sling Swivel Mount is a relatively new type of bipod for the Remington 700 which is constructed with stainless steel and has a similar attachment system to Sinclair’s F-Class Bipod. 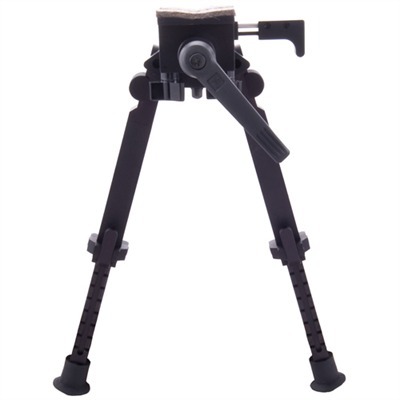 This is a popular bipod for hunters who don’t mind enduring rain or windy weather conditions while they’re outside on uneven terrain. The best part is it weighs under two pounds so you really won’t feel much resistance from it while you’re aiming your rifle. Bipods are an optional accessory that you should consider if you’re going to be outside waiting for your target for an extended period of time. The reason bipods are so popular with hunters is because they’ll wait in the same place until their prey comes within their range of fire. Since bipods give them almost complete accuracy and stability, it would be very hard for the shooter to miss their target with this kind of setup. If you’re in the military or some kind of sniper, bipods come in handy as well. Shooting is not always done while standing on your own two feet. Sometimes it helps to hoist your weapon up on the ground to give your shots more accuracy. If you are looking for a high-quality bipod for your Remington 700, then you can’t go wrong with the Accu-Shot Atlas Bipod Quick Detach Bipod. 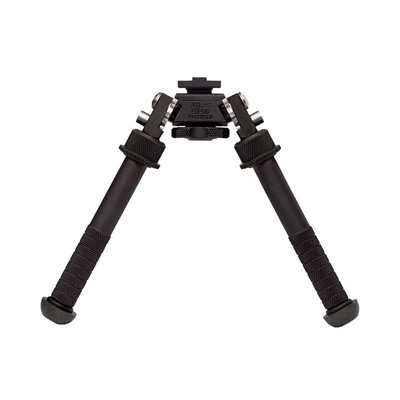 This is a dependable bipod that is constructed with aluminum in order to make it lightweight and easy to maneuver with. At the same time, the internal locking components are made of stainless steel to give it the added durability that is necessary when hoisting up your weapon. Don’t worry about the length of the legs either because they are each adjustable from a low point of five inches all the way up to nine inches. You can adjust the bipod from front to back at 180° and pan it left or right at 30°. This will give you smooth target tracking and the ability to easily align your crosshairs no matter how uneven the terrain is. The legs ca be adjusted to five different positions to ensure that you can rest them somewhere secure on the ground. The Accu-Shot is designed specifically with accuracy in mind. 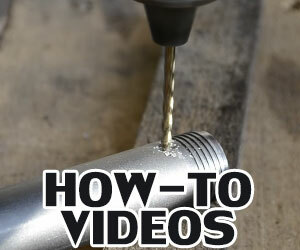 Not only that, you can set it up very quickly which comes in handy when time is of the essence. That is why this bipod is very popular with both law enforcement and military officers who are using their Remington 700 in dangerous situations that involve quick reactions. That’s not to say that hunters can’t benefit from the Accu-Shot too because they can. If you are the kind of hunter that sets up a campsite and just waits for the prey to come to you, the Accu-Shot bipod will set up your Remington 700 rifle perfectly for precision shooting. There are three attachment options for the Accu-Shot bipod which include a no-clamp option, a permanent two-screw Picatinny mount option, and the quick-detach Picatinny lever mount option. The price of the Accu-Shot bipod is $279.99 at most gun retail stores. It is a tad pricier than some other bipods for the Remington 700 but it is truly worth the money. 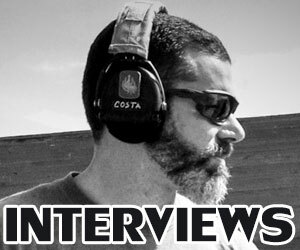 Anyone who uses their rifle on a regular basis will certainly see the value after using their bipod on a regular basis. The environmental conditions won’t affect it either. The Accu-Shot maintains stability in rain, windy, and snowy conditions. So, give this bipod a chance the next time you go searching for one for your Remington 700. Aside from its solid base, the Harris Bipod has adjustable telescoping legs which are spring loaded so that they can come out quickly when you need them. 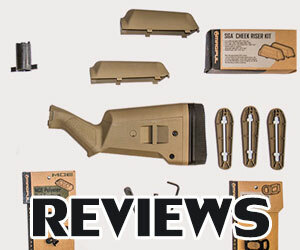 This makes it perfect for leveling the bipod and rifle while you’re on uneven terrain. Then you can adjust the tension of the legs to secure them in place and ensure that tremors or recoil from the weapon won’t move them at all. If you are in the military then you will particularly appreciate this, especially if you are in a battle situation where tremors are occurring all around you. As for hunters, you will benefit from the Harris Bipod too if you like to camp out and weight for your targets to come to you. Another upside to the Harris Bipod is its affordable cost. While other bipods for the Remington 700 are priced in the $200 to $300 range, the Harris Bipod is in the ballpark of $75 to $100. If you are a newcomer to bipods and are afraid of spending too much money on them, try out the Harris Bipod because it is inexpensive and provides you with the same kind of stability that the more expensive bipods would offer you. The Harris Bipod is one of the most popular accessories for bolt-action rifles like the Remington 700. Sometimes there are bipods that have extra special features which come in handy for the shooter. That is why anyone who owns a Remington 700 rifle should try out the Sinclair International Tactical Bipod Sling Swivel Mount. If you are familiar with the Sinclair F-Class Bipod, then you’ll be getting the same rugged attachment system for this tactical bipod. And yes, it is called tactical because it is suitable for life-threatening situations where you have to react quickly. 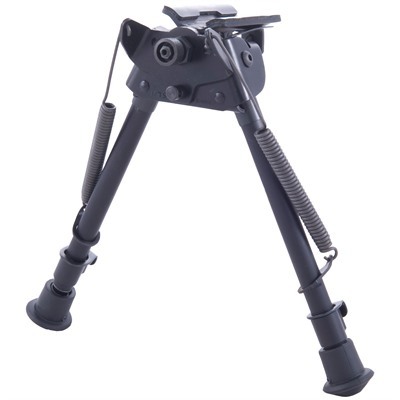 This means military and law enforcement officers could benefit the most from this bipod. Of course, that doesn’t mean those in the civilian world can’t benefit from it either because they can. Hunters and target shooters can set up this tactical bipod with their Remington 700 to accurately shoot their targets with total precision. You may be able to use the bipod with other rifles too, but just make sure they are compatible. The Sinclair International Tactical Bipod Sling Swivel Mount is constructed out of stainless steel and aluminum, which gives it both durability and a lightweight feel at the same time. 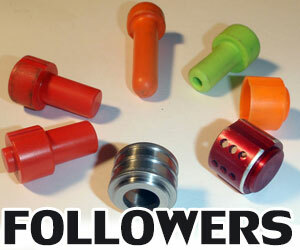 It also means it can avoid corrosion and be quick to maneuver around in an emergency. 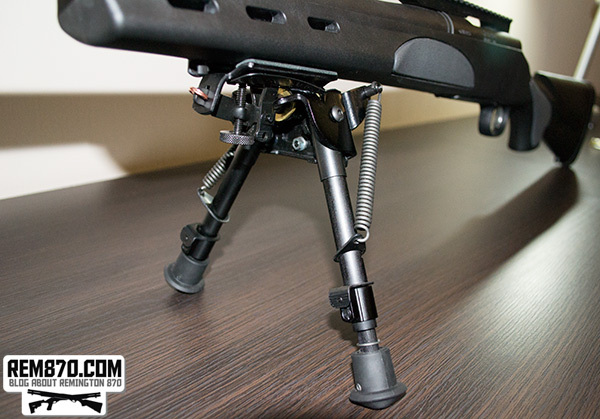 The legs of the bipod can each be adjusted separately to level out the rifle on uneven terrain. Each leg can extend from 6.5 inches all the way up to 12.5 inches. 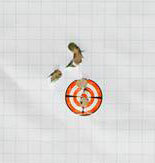 This gives you plenty of room to adjust your own position when aiming at a particular target. Also, don’t worry about the tremors or recoil that may through the legs off balance because there is a positive stop mechanism on the adjustable legs to prevent them from sliding around. Instead, they will stay securely in place so that your Remington 700 rifle has the stability it needs to conduct precision shooting to the max. Lastly, there is a swivel stud mounted to the frame of the bipod so that you can rotate the weapon around before you fire it. There is even a space on the frame to attach slings as well. The price of the Sinclair Tactical Bipod used to be $229.99 but the Sinclair website just recently reduced the price to $199.99. There is no telling how long that discount will last so if you are interested in purchasing the bipod then you should take advantage of that deal as soon as possible.